1 Using the palm of your hand, slightly flatten the prawns. 2 Place the flour in a bowl and add the prawns. Toss to coat. 3 Whisk the egg and 2 tablespoons of cold water together in a shallow bowl. 4 Combine the coconut, Sriracha seasoning and breadcrumbs on a plate. 5 Dip a prawn in the egg mixture, then the breadcrumb mixture and place on a plate. Repeat the process with the remaining prawns. 6 Heat the oil in a large frying pan. 7 Cook the prawns for 2 minutes on each side or until golden and cooked through. Drain on paper towels. 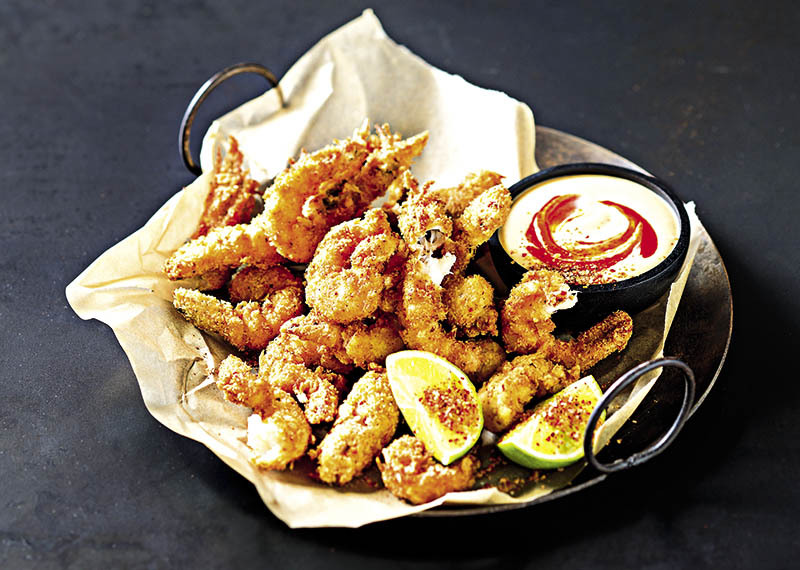 8 Serve the prawns with the Sriracha mayonnaise and lemon wedges.